“Paradise” is an introspective trip into the mind of Produkt, a seasoned hip-hop veteran from The Bronx. Produkt has built a name for himself over the years as a street-smart lyricist with a lot of range as an artist. “Paradise” is a single from Produkts most recent effort “Change The Frequency” which is available now on all major streaming platforms. The single is backed by a black and white visual that flawlessly captures the essence of Produkts energy on this record. The gritty imagery in Produkts lyrics are a testament to his life experiences and the very skeletal, jazzy instrumental gives the emcee enough space to eloquently deliver his rhymes. 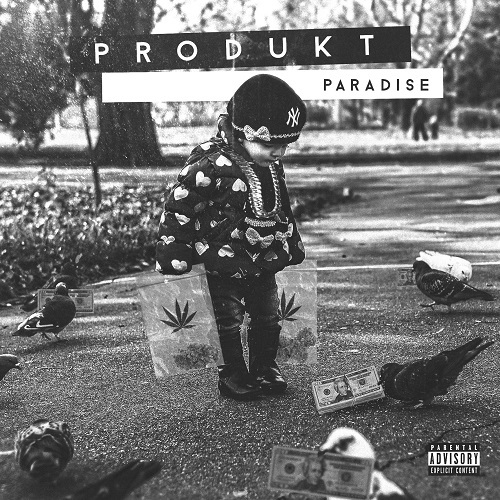 Produkt raps “Troubled youth, but a stargazer/ philly blunts til the stars gave up, concrete heat through the streets, the scars caged us, Mobb Deep beats on repeat the stars raised us” it is clear that Produkt comes from the golden-era of New York hip-hop and his authenticity is on full display here. Although the verses may be tackling a lot of the hardships of Produkts reality, the hook on this is very motivational and triumphant which gives an overall positive feel to the theme of this record. Check out the visual below as Produkts rhymes come to life in the streets of The Bronx, NY and make sure you stay on the look out for more music.